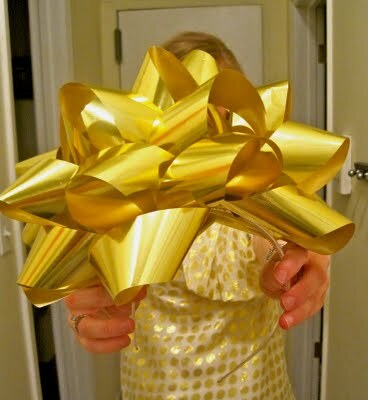 I went to a 24K Gold Birthday Party this past weekend for Auburn friend, Perryn. She's adorable and her one birthday request was for her guests to sport their bling. 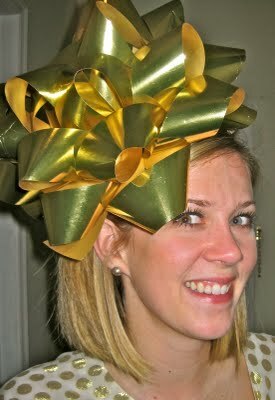 Being the creative interior designer that she is, made this clever gold bow headband. Could she and her headband BE any cuter? I'm saying that in the way Joey says it on the Friends episode where he puts all of Chandler's clothes on and says, "Hi, I'm Chandler, could I BE wearing any more pants?" What a perfect idea for bling! I'll tell you another good idea. Kate Spade. 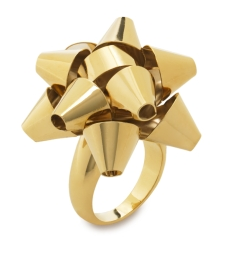 She has this darling ring for $65. There is also a key chain, but I couldn't seem to find it. All this gold puts me in the Holiday mood!